CPS Over The Moon with New Robe Stock! ….And we have another shipment on order! Contact the hire team on (01202) 572000 and we will be more than happy to help with any enquiries. Website Hire Stock Updated for 2013! Check out our brand new online hire stock! Updated with all our new hire stock products – offering digital sound desks, DMX lighting desks, DJ Packages and much much more. For anything not displayed on our website, contact the hire team on (01202) 572000 and we will be more than happy to help with any enquiries. Our online enquiries form allows you to directly enquire about any of the products on our website! For all further enquiries contact the main office on (01202) 572000. The 2013 used equipment sale is on at our trade counter in Christchurch. We have a large range of used and ex hire hire kit for sale. Everything from Lighting equipment to Sound and Audio Visual Kit, including ex hire and ex demo items and some part-exchanges that have come in. All the items can viewed at our premises in Christchurch, please speak to one of the sales team to arrange viewing for the larger items ! Some of the items can be seen at our eBay shop HERE, but for the real bargain hunter a trip to the trade counter may reveal some hidden gems! If you are looking for something specific please call us and we can let you know if we have something that fits your requirements in the used equipment warehouse. Be quick, as once it’s gone it’s gone! Following lengthy negotiations, CPS Group is pleased to announce the purchase of the Stagecraft brand together with a significant proportion of assets, after the recent voluntary liquidation of Stagecraft Technical Services Ltd. The newly acquired assets have strengthened CPS’ stock of industry standard brands such as ETC, Avolites, Shure, Steeldeck & Prolyte. Understanding that the key to a successful production is trust and the solid understanding of the client’s needs, CPS welcomes Mike Naish to the team. 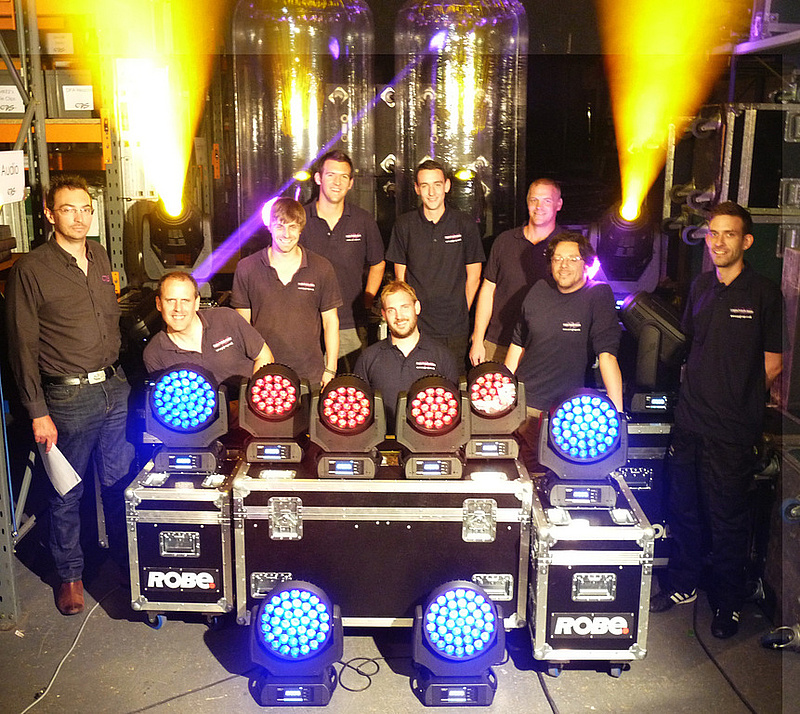 CPS’ installation and service teams, headed by Simon White, CPS Technical Director, are geared-up to provide on-going quality post-sales technical service and support to Stagecraft customers. Founded in 1996, CPS provides a comprehensive range of audio visual solutions to the entertainment, leisure and corporate sectors including installation, hire and event management using proven, innovative technology to provide outstanding solutions to fit modern budgets. We are a having a huge old stock and ex hire clearance so give us a call for a bargain! Give us a call for the latest offers or alternatively pop into the trade counter.